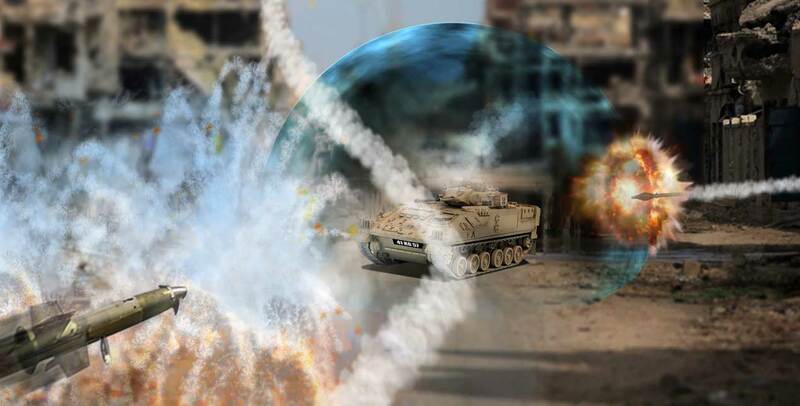 The UK’s Defence Science and Technology Laboratory (Dstl) has placed a £10 million contract with Leonardo for an Active Protection System (APS) to improve the survivability and protection of armoured vehicles. APS can detect and defeat threat missiles within 100 milliseconds, which is less time than half the time it takes a human to react to a visual cue. More NATO member countries are looking to field APSs in response to a new generation of Russian tanks, like the T-14 Armata, which has an APS. Israel’s Rafael Advanced Defense Systems has first-hand experience of fielding an APS with its Trophy system, which has been used in combat in the Gaza Strip. Dstl will conduct a proof of concept Technical Demonstrator Programme (TDP) to develop a Modular Integrated Protection System (MIPS). Under the Icarus TDP, Leonardo will lead a team of UK industry experts to develop an APS electronic architecture (EA) that is founded upon modular open system architecture design principles. Part of the TDP will see the Leonardo team demonstrate and evaluate an operational prototype against ‘live fire’ weapon engagements. Team members working with Leonardo to deliver the Icarus TDP are BAE Systems, Lockheed Martin UK, Ultra Electronics, Frazer-Nash, Brighton University, Abstract Solutions, Roke Manor Research and SCISYS. The MIPS electronic architecture will provide a common infrastructure that will enable “best of breed” commercial off-the-shelf APS sensors and countermeasures to be selected, integrated and deployed to defeat a wide range of current and future battlefield threats. This will enable the provision of a weight-efficient and affordable protection system capability that can be tailored to protect military vehicles against threats such as rocket propelled grenades and anti-tank guided weapons. APS technologies generally fall into either of two categories: ‘soft’ APS solutions that are focused on early threat detection and which attempt to disrupt, decoy or spoof the incoming threat and ‘hard’ APS systems that seek to defeat the incoming weapon system by physically intecepting it, known in military terminology as a ‘kinetic effect’. However, the latter systems tend to be more expensive and the UK has expressed concerns about the potential collateral damage caused by such systems. Whilst these APS technologies are currently available and will continue to be developed by industry, Leonardo says no single solution is suited to every threat scenario or indeed all threats. The key challenge, it says, is to be able to rapidly and affordably tailor a vehicle’s combination of APS technologies to optimise survivability prior to, or during, deployment. Against this backdrop, the primary objective of the Icarus TDP is to develop and demonstrate a UK sovereign MIPS electronic architecture that enables “best of breed” APS sensors and countermeasures to be selected, integrated and deployed as necessary to defeat a wide range of current and future battlefield weapon threats. Not only must the architecture be easy to use, says Leonardo, it must also be affordable and dependable and ultimately form the basis of a new MIPS defence standard, similar to the one developed for the UK Generic Vehicle Architecture (GVA) standard. Under the related Dstl Common Defensive Aids System (CDAS) programme, Leonardo has undertaken similar APS integration activities for the UK helicopter fleet. Both the CDAS and Icarus programmes build on decades of experience in the provision of integrated Defensive Aid Suite (DAS) solutions and protection systems to both the UK and allied armed forces. Current examples of DAS provided by Leonardo include the systems, which protect the UK’s AW159 Wildcat, Apache, Puma, Chinook and Merlin helicopters, all of which bring together a collection of sensors and protective equipment into a comprehensive defensive suite. The company also leads the EuroDASS consortium, which provides the Praetorian defensive aids sub system (DASS) for the Eurofighter Typhoon.